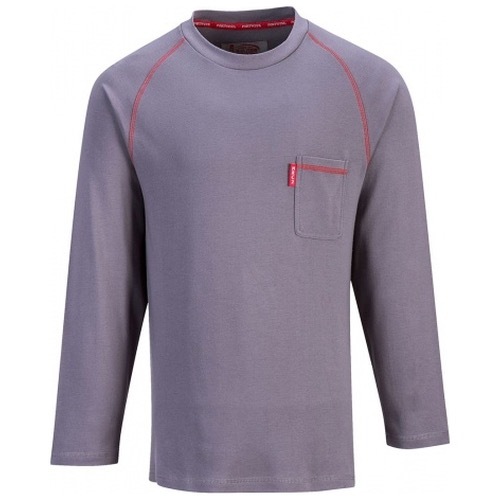 The FR01 is a stylish crew neck offers the ultimate in flame resistant comfort. The interlock knit fabric is lightweight but highly insulative providing high protection against electric arc. FR01 offers protection against convective, radiant and contact heat and is suitable for a range of uses. 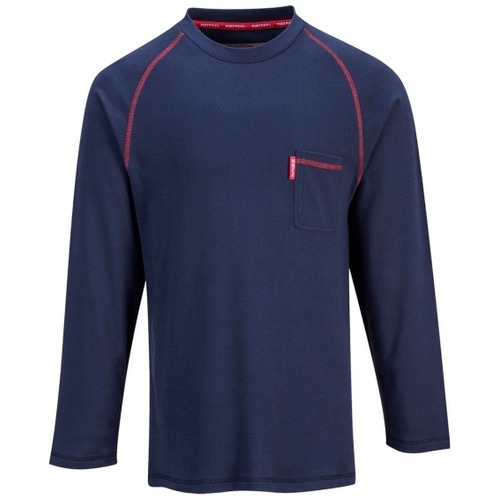 Manufactured from 99% Cotton, 1% carbon fibre 245g Bizflame multi has been expertly developed to provide hi-vis, flame, welding, electric arc and anti-static protection while offering guaranteed wearer comfort. This advanced tecnology fabric is worn with confidence by thousands of workers across a range of industries offering maximum comfort and outstanding protection.